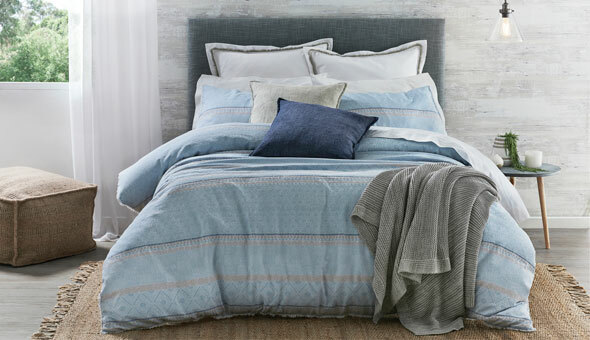 Exclusive to Bed Bath N’ Table, we house the full range of Morgan & Finch bed linen. The Morgan & Finch label spans across all homewares categories. 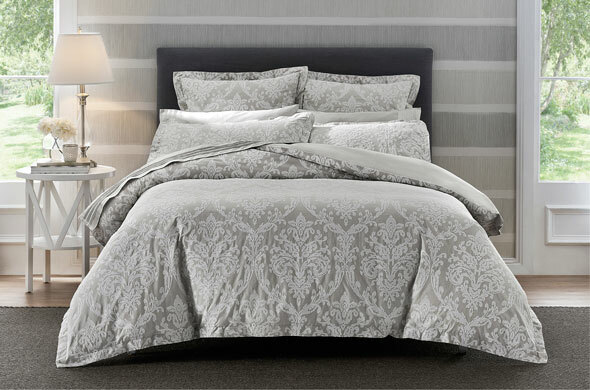 The beautiful designs and exceptional quality are featured across all of our Bed Bath N’ Table bed linen, bathroom and tabletop ranges. 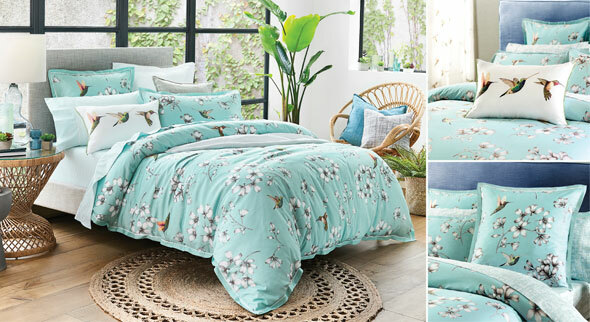 New bed linen and homewares ranges are developed each season and coordinate with all of our popular classics and favourites. Opulent textiles and refined finishes are the essence of the Morgan & Finch White Label collection. The premium label delivers the highest quality fabrics complemented by higher thread counts, complex stitching techniques and detailed finishes that shape this truly luxurious collection. 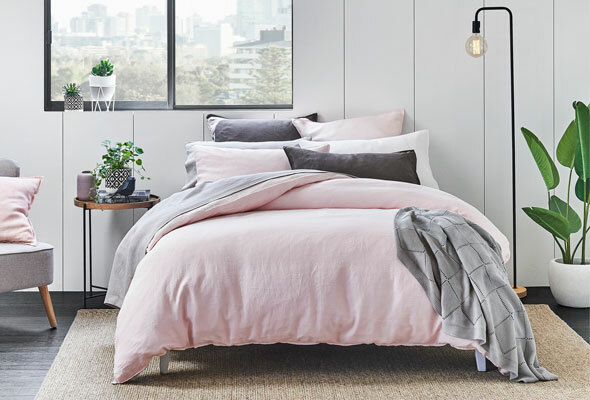 The superior fabrics of Egyptian cotton, French flax linen and pure Australian wool span across all homewares categories to create a complete collection. Cotton House exudes a casual, comfortable elegance – designed in Australia to specifically fit within the lifestyle. Known for its contemporary quilt cover, sheet set and beach towel designs, Cotton House is designed and developed in-house by our brilliant team – always with the continual vision of simple, relaxed, Australian style. Adding a vibrant design style to our range of quilt covers & bed linen, Harlequin Design Studio brings an energetic spectrum of patterns, textures and colours. An eclectic fusion of classic mixed with contemporary, the Harlequin range features stunningly detailed designs and enduring quality. Founded in 1860, Sanderson has been an internationally renowned name in interior design and decorating for over 150 years. Introducing some of the quintessentially English interior designs into an exceptionally luxurious range of bed linen, our Sanderson range is of the highest quality in both style and construction. 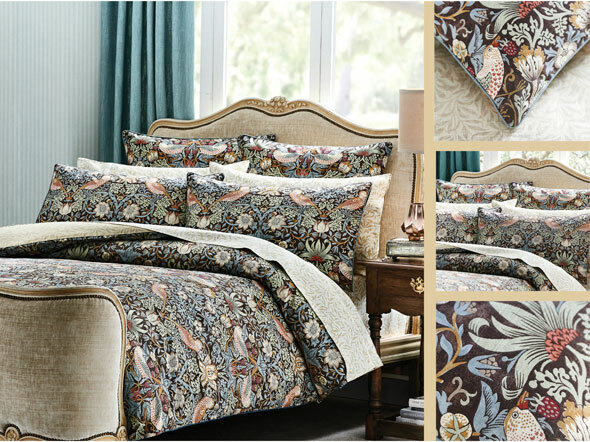 William Morris (1834 - 1896), artist, philospher & political theorist, was one of the most outstanding and influencial designers of the Art & Crafts Movement and through his company, Morris & Co., he produced some of the most fashionable and exciting textiles & wallpapers of his era. His legacy continues today with Morris & Co. producing authentic versions of his original designs alonside new interpretations to create up to date fabrics and wallpapers with timeless appeal.